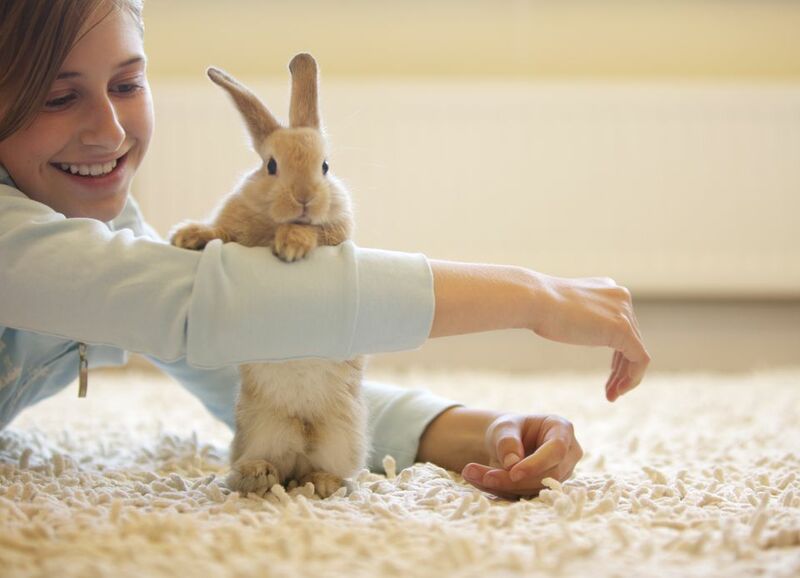 Many rabbit owners are surprised to find out just how playful their pets are. Most rabbits will appreciate a selection of fun and simple toys, such as a cardboard box or empty paper towel roll. Toys will help keep your rabbit physically active and prevent boredom. A bored rabbit is more likely to become destructive or even depressed, overweight, or worse yet, develop ileus. Deprived of toys and playthings, your rabbit may turn to your furniture and other belongings as chew toys or even dangerous things like electrical cords. Experiment with a variety of toys to find out what is entertaining to your rabbit and continue to provide new toys on a regular basis. While a good selection of toys will help keep your rabbit away from the things you do not want them chewing on, you also need to make sure the toys you provide them are safe. If your rabbit is interested in eating one type of toy (e.g. plastic, cardboard, etc. ), try switching to another type to avoid issues. Watch out for soft rubber items or plastic parts that can be eaten and cause gastrointestinal problems or blockages and if your rabbit enjoys shredding paper and cardboard, make sure they are not also ingesting it. Ward plastic baby toys such as rings, links, keys, rattles, etc. Enrichment is the word used to describe activities that make an animal think. A mentally stimulated rabbit is a happy rabbit and a happy rabbit is usually a healthy rabbit. This is why enrichment for your rabbit is a necessity. A variety of toys that make your rabbit pick things up, crawl into and over items, and use their brain to get to treats hidden inside, are easy and fun ways to provide enrichment opportunities. Mazes made from boxes, egg crates with treats inside, and wicker balls with hay poking out of it are all easy options that anyone can do to provide their rabbit with enrichment. By being creative, watching your rabbit and how they play, and rotating toy options, you'll have a binkying bunny every day.